My name is Kevin, I started filming my kids, like most parents do, and it quickly became a passion of mine. I showed some videos to a couple of parents and they were quickly interested in getting their hands on a copy for their collection. I am a father to three wonderful children whom I actively coach in life as well as on the field. We have played Basketball, Soccer, Baseball, Softball, Football & Cheer over the years. We currently focus most of our energy on Baseball, Softball, Football & Cheer and we LOVE every minute of it! You’ll find us on the Diamond or on the GridIron during the week and throughout the year learning life lessons through organized sports! We are proud to have partnered with the East Orlando Junior Predators for the 2014 season as their team videographer. 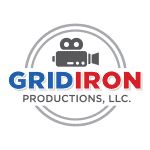 This season we’re proud to partner with FYFCL (Florida Youth Football & Cheer) as their league videographer for the 2015 season! We’ll be covering all of the Football games as well as the FYFCL Cheer Competition. Check them out!